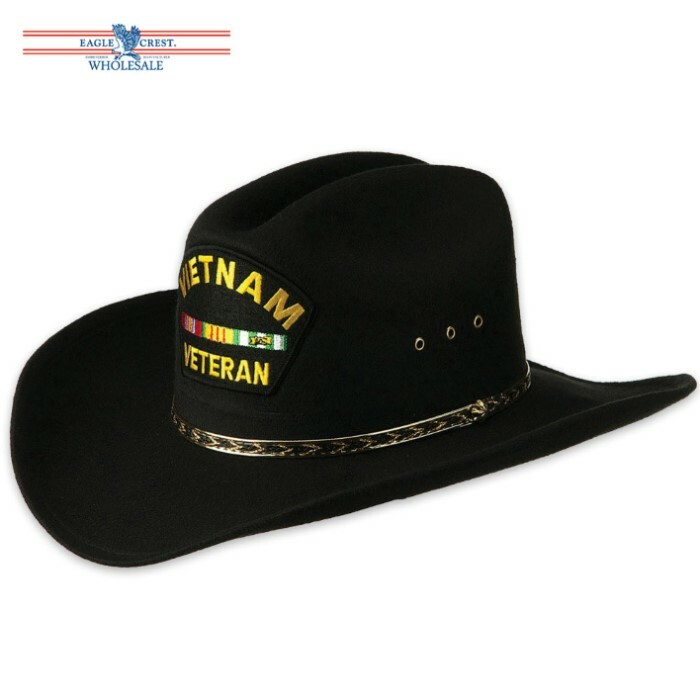 Vietnam Veteran Cowboy Hat | BUDK.com - Knives & Swords At The Lowest Prices! 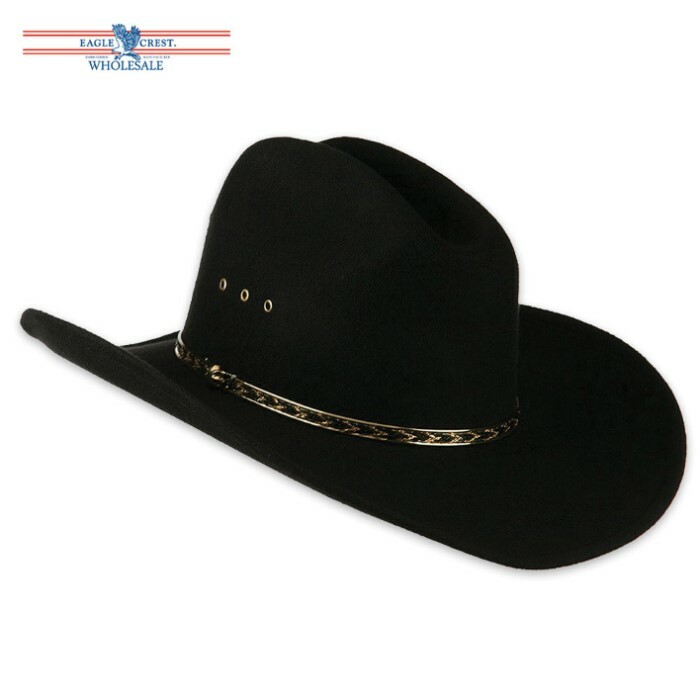 These Vietnam Veteran black felt western style cowboy hats are constructed with pride. They have a 4 1/2" cattleman crease crown, a wide 3 3/4" brim, and 4 eyelets to help keep you cool. They make a terrific gift and will be worn with pride. The heat sealed Vietnam Veteran patches were specifically designed to match these felt hats.